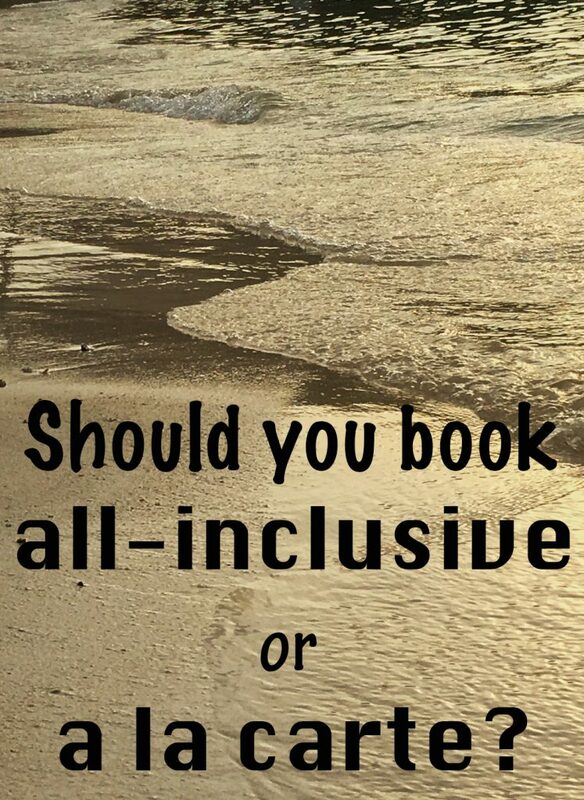 When booking a vacation, a lot of families wrestle with the question, “Should we book all-inclusive or a la carte (European Plan)?” There are so many factors that go into that decision that I wrestle with it myself. In addition, there are different definitions of “all-inclusive” depending on where you are traveling. It sounds so convenient, yet…will the food be good? Will the beer that is “included” be Tecate? What about the “Nightly Entertainment“? Will it be loud and right outside your patio door? There are so many factors that a family really needs to think about what is important to them. So lets break it down. Choosing an all-inclusive vs. a non all-inclusive really depends a lot on where you plan to travel. If you’re going to Mexico or Caribbean, there are so many different options to choose from, whether all-inclusive or not. Which will require a little more analysis and I’ll get to that later. However if you are going on an African safari, all-inclusive is the way to go and probably the ONLY way to go. After all, if you’re in a tented camp on the Serengeti, you aren’t going to be making dinner reservations anywhere else. And when you do an African Safari right i.e. book with a legitimate safari operator who knows what they are doing (I’m looking at you Rothschild Safaris), the inclusions are top of the line. Beautiful meals, tea time, amazing drinks and snacks. Everything from transportation to guides to drinks are included in your final cost when taking on an African Safari. Conversely, if you are planning a trip to Europe, an all-inclusive is almost a foreign concept, with the rare exceptions. Paris with an all-inclusive hotel? Please! Think of all the amazing Parisian restaurants! And cafes! And cocktail bars in the George V! Or Rome? Imagine only eating Puttanesca at your hotel and not being able to partake in the nearby trattoria with homemade pasta. Europe is made for exploring cobblestone streets and hidden alleyways, not staying in a resort and sitting by the pool….even if that pool is on Santorini. Are you the type that likes to explore? Can’t get enough of wandering the town streets and blending in with the locals? Only eating where the locals eat? An all-inclusive probably isn’t for you. As convenient as they are, if you aren’t spending any time at your resort and you’re touring sites and eating in varying restaurants or visiting friends, you won’t be getting your money’s worth. 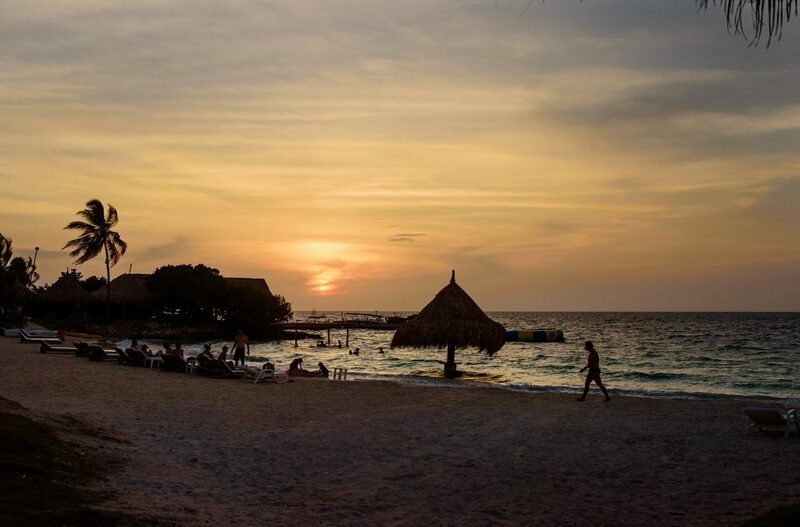 If however, you are content to stay in one place and you are simply on vacation to sit, enjoy your family and watch the sunset, an all-inclusive is probably right up you alley. This is a big consideration when choosing all-inclusive or a la carte. Another factor to take into account is what time of year are you traveling? 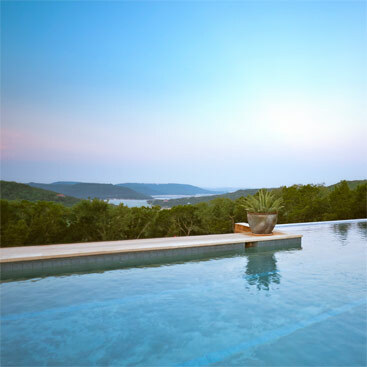 Spring Break for families is generally reserved for relaxing and playing in the pool more than anything. In that case, an all-inclusive is a great option. However, if you are planning a summer vacation tour of Thailand, I definitely suggest a European plan hotel option. You will be wanting to explore and taste new things at restaurants and street vendors. Foodies appreciate good food and nothing less is going to do. If you genuinely appreciate good food and want to savor the dining experience, there aren’t many all-inclusives that are going to fit the bill. There are exceptions to that rule – especially the higher end cruise ships – but in general, if you’re going to Mexico and staying in an all-inclusive with 1500 rooms, the food is going to be mediocre. The cooks are cooking for 4000 people – there’s only so much creativity those numbers allow. Again, there are exceptions, and I list them below, but unless you are on a Crystal Cruise or equivalent, avoid an all-inclusive if you value food presentation and taste. In addition, do you drink? Many people think that all-inclusives cost more mainly because of alcohol. In my personal opinion, I don’t think the alcohol adds much to the final price, at least not in most all-inclusives in Mexico. 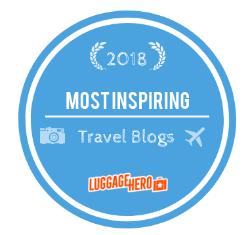 Mainly it’s the food, the activities, the gratuities for the staff and the general convenience that will bring up the price higher than a European Plan resort. The alcohol at the vast majority of all-inclusives in Mexico is the lower end beer and weaker drinks. If you really like an all-inclusive resort and enjoy the convenience, don’t worry too much about not getting your money’s worth because you aren’t drinking beer. 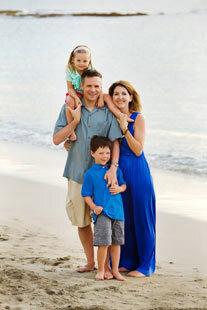 Are you traveling with your two children or are you on a romantic honeymoon? If you’re going to Playa del Carmen on a family vacation with two little ones, the convenience of an all-inclusive can’t be beat. Little Mary refusing to eat her chicken nuggets and suddenly changing her mind to mini hamburger? No problem – the restaurant will switch it out at no extra charge. And many all-inclusives have great family programs that really cater to families. For an anniversary or honeymoon, a lot of couples want top shelf liquor or special dinners on the beach and you will find more of that at a European plan resort. 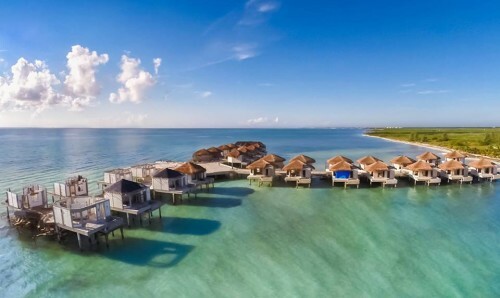 In addition, honeymoon couples want the flexibility of the non all-inclusive. While all these considerations above factor into a decision, in some cases you may not have a choice. The popular tourist areas of Cancun, Cabo and Puerto Vallarta are generally all-inclusive resorts. A la carte resorts exist, but they come at a price. In the Cabo area, the European plan resorts are high-end resorts such as One&Only, Las Ventanas and Esperanza. In the Cancun area, you’ll find the Ritz, Rosewood and Banyan Tree. Same thing applies for certain areas of the Caribbean such as Dominican Republic. It’s full of all-inclusives and the non all-inclusives are top rated, 5-star resorts. And a price tag to reflect that. 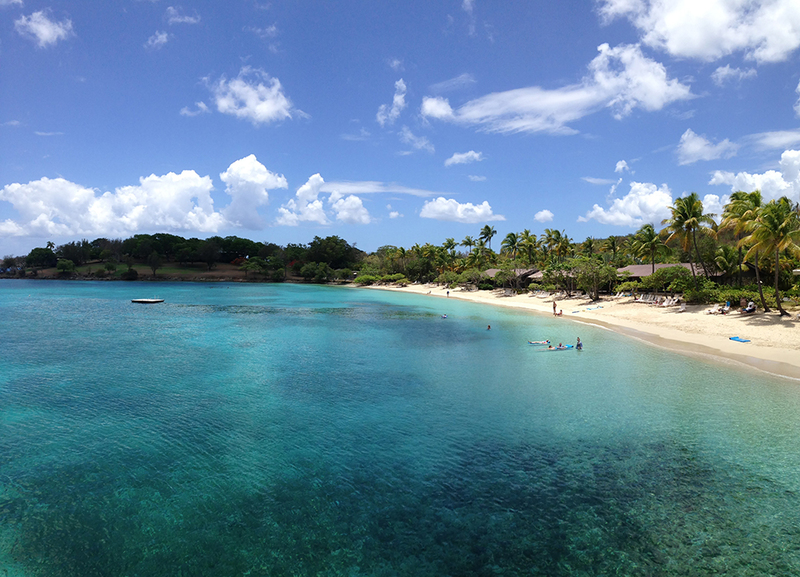 A smattering of other Caribbean islands have all-inclusive but they are generally lower end resorts. If that’s what your budget allows, they can work, but the vast majority of resorts in the Caribbean islands are European plan resorts. Not all resorts are equal. Below are all-inclusives in different countries that I can confidently say are great options. All-inclusive options can be great if you are trying to stay in a budget, but trust me when I say, cheaper isn’t better. Too low-budget means standing in long buffet lines for mediocre food, drinking weak beer, and listening to blasting music at the pool. Oh and have I mentioned chipped tiles at the pool and mold growing around the edges? While there are no hard and fast rules, carefully weigh all these factors when picking your perfect vacation spot. Trying to decide between all-inclusive or a la carte? Let me help you!